A Turkish opposition MP has accused the government of ignoring Islamic State activity on its territory despite knowing precise locations of militants. Documents containing what is thought to be proof of those allegations have been handed to the media. Eren Erdem of the Republican People's Party (CHP), told the Turkish parliament that the Turkish police have had extensive data on Islamic State (IS, formerly ISIS/ISIL) activities in the country, but didn’t act against the terrorists under pressure from the government. “These phone conversations include terrorists’ locations, which hotel they were staying in, which petrol station they would fill their cars at, in which mosque they would gather, how many people would come and go – all of it. Even though this information was known, there wasn’t any operation against them,” he said. As he spoke, Erdem held a stack of documents in his hand, alleging there are 422 pages of Turkish police data proving that the government turned a blind eye to ISIS activities. The MP provided copies of the documents to the media. 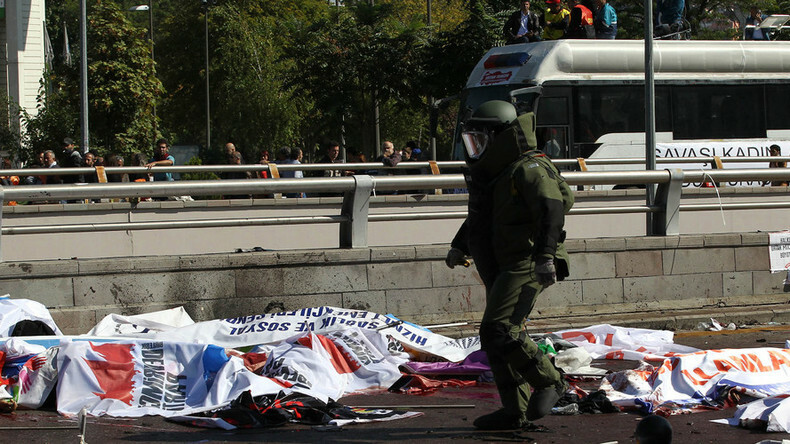 Erdem says some of the transcribed phone recordings belong to Ilhami Bali from an IS affiliate suspected of staging high-profile bomb attacks in Ankara and the mainly-Kurdish border city of Suruc. On his website, he was calling for killing people from religious and ethnic minorities, Erdem said. “I am so curious about whether [the] Justice Minister can make any investigation about this judge (who released Hanzala), or not,” he said. According to Erdem, Islamic State fighters are freely organized in Turkish towns of Kilis and Gaziantep, being allowed to cross the Turkish-Syrian border in both directions. “One of the terrorists, Muhammed Abu Turki, who threatened Turkish public was also treated in a Turkish hospital for $18,000 after he crossed the border,” Erdem said. — RT (@RT_com) 2 января 2016 г. The revelations in such transcribes would’ve been “just a scandal and in a democratic country, all of the members of cabinet would normally resign from government. However, in Turkey they don’t even make any explanations. This is so tragicomical,” Erdem told his fellow MPs. Erdem is currently under investigation after President Erdogan labeled him a traitor after an RT interview, in which he accused Ankara of being aware, but not preventing cross-border supply of chemical weapons to IS. Due to his MP status Erdem is immune to prosecution, but parliament is currently in the process of stripping this protection from its members. Voicing accusations of alleged links between Turkish authorities and terrorist groups in Syria is a dangerous move in Erdogan’s Turkey. 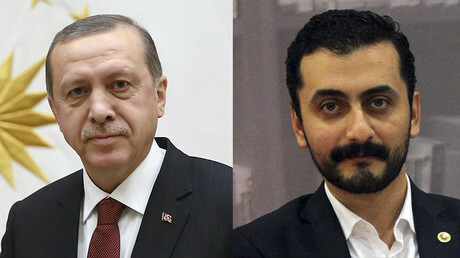 Last week, a Turkish court sentenced two prominent journalists from the Cumhuriyet newspaper to jail terms of over five years for a report about supplies of arms to Syrian militants by Turkey’s special services. They were convicted on charges of "revealing state secrets." Ankara has been previously accused by Moscow and some EU politicians of backing Islamic State militants in hopes that they will remove Erdogan’s geopolitical rival Syrian President Bashar Assad from power. Turkey is believed to be have been supporting the jihadists with arms, allowing them free border passage and trading stolen oil and artifacts with the terrorists. In late 2015, the Russian military released satellite images of columns of oil tanker trucks moving into Turkey from areas controlled by Islamic State in Syria.